We serve all of Normandy, St. Louis, and the surrounding area. 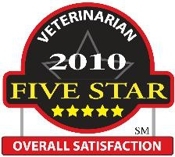 When looking for a veterinary care clinic, trust in the superior care and excellent service of Normandy Animal Hospital. Our talented team of veterinary professionals offers the best possible healthcare for your pet. Normandy Animal Hospital is a full service St. Louis veterinary hospital staffed with caring veterinarians and support staff. It is one of the oldest Saint Louis veterinary clinics. We also treat horses, cows, alpacas, llamas, pigs, goats, and sheep. Normandy Animal Hospital offers discounted services to senior citizens and local area rescue groups. Pre-approval is required to qualify for the rescue group discounts, please call (314) 356-8578 for more information.